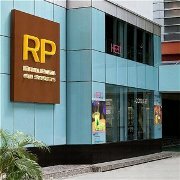 An award-winning hotel, Royal Plaza on Scotts is situated in the heart of Singapore's bustling business area with shopping and entertainment at the junction of Orchard Road. Recently voted 'Best City Hotel' in the 18th TTG Travel Awards 2007 and Asia's Best Independent Hotel 2007 by Travelweekly, just a 20-minute drive from the world-class Singapore Changi Airport, Royal Plaza on Scotts is a 100% non-smoking hotel. It is the only hotel in Singapore that offers added value like complimentary Wi-Fi broadband internet access, express check-in and check-out services, and a free mini-bar in the rooms.